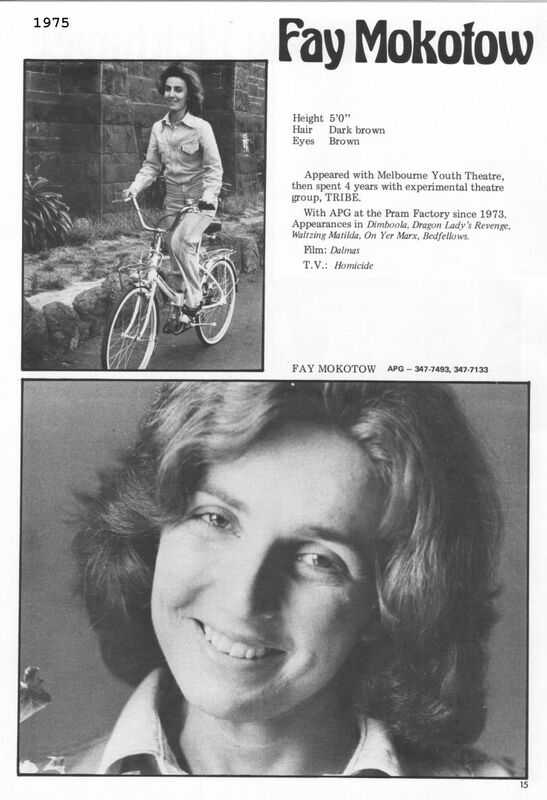 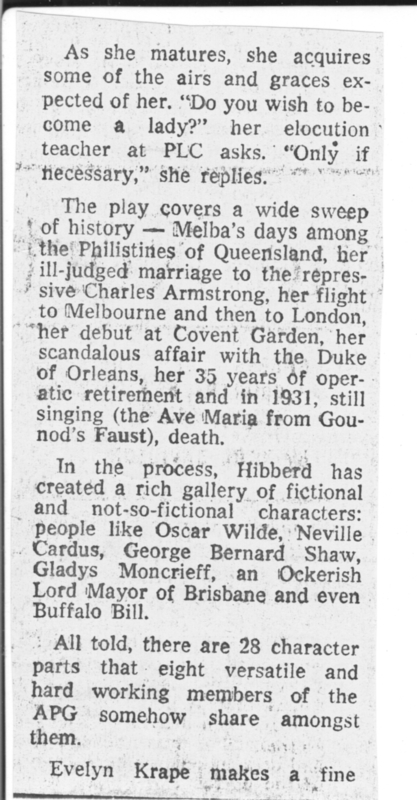 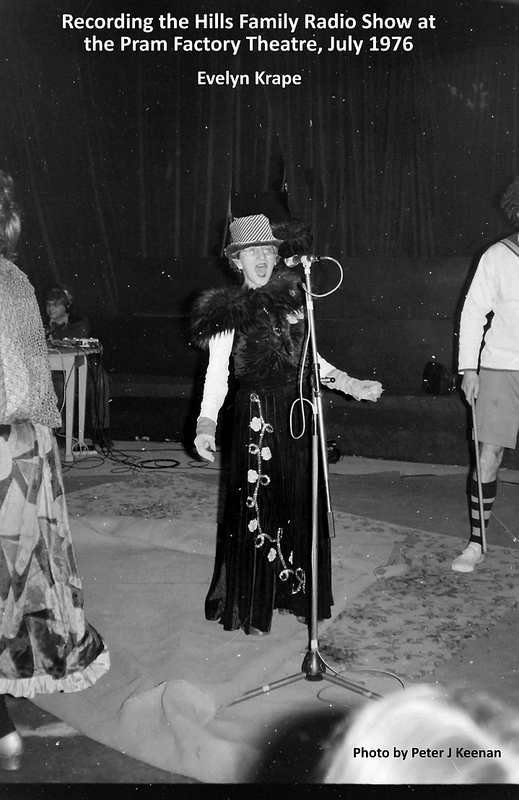 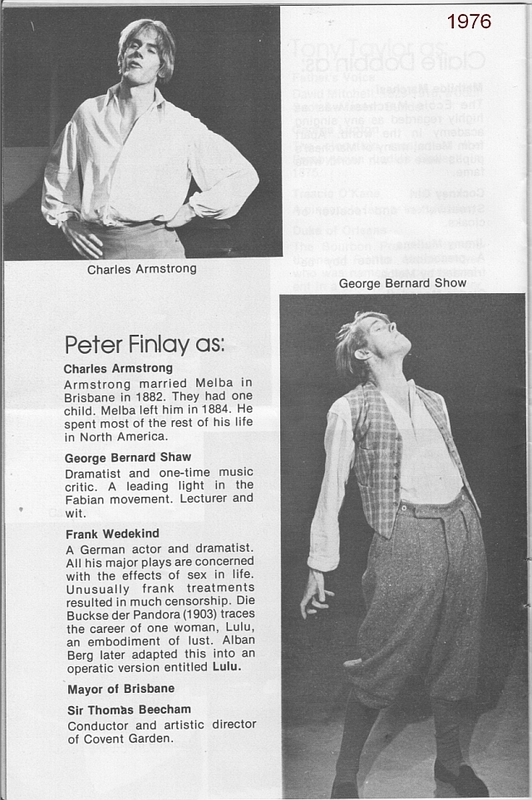 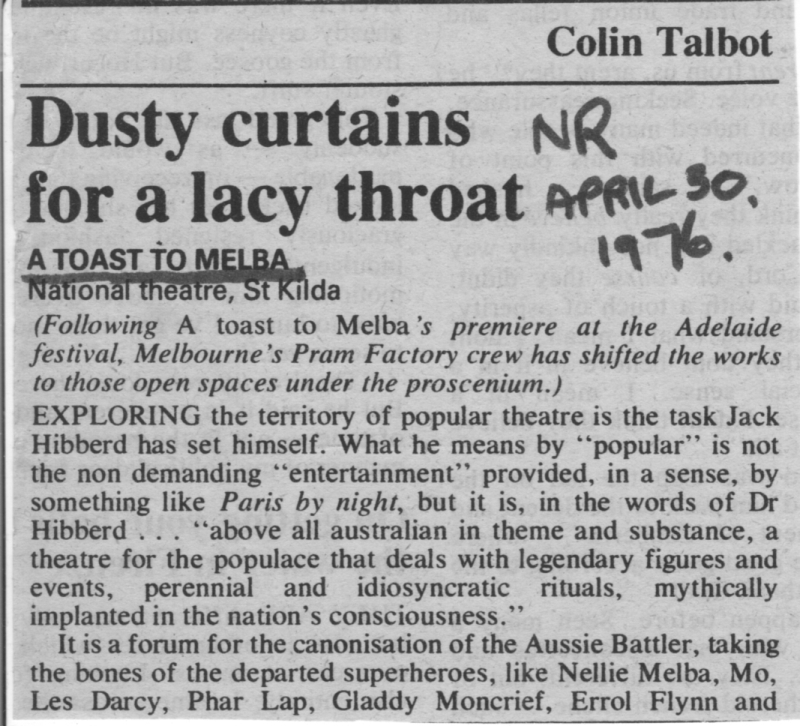 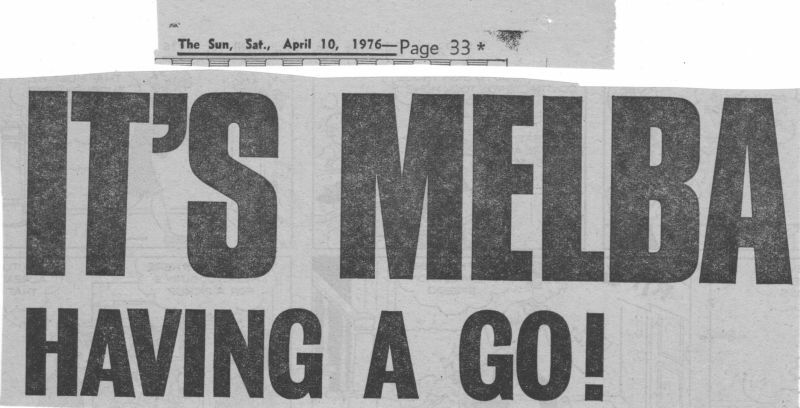 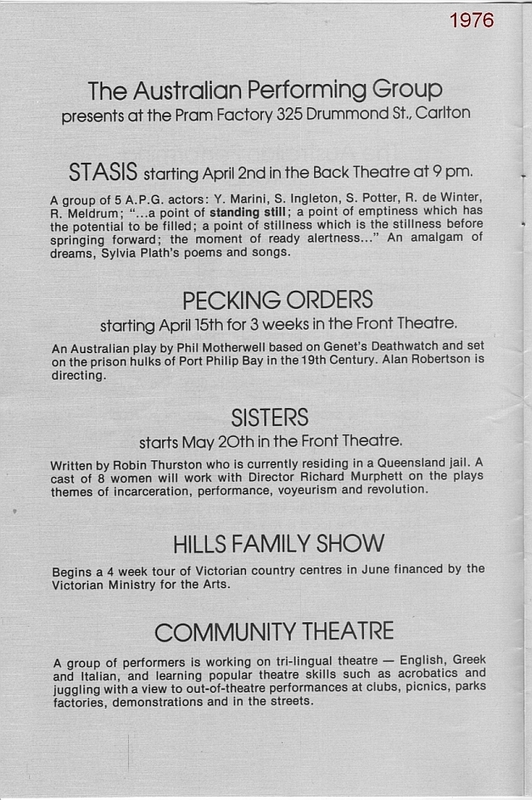 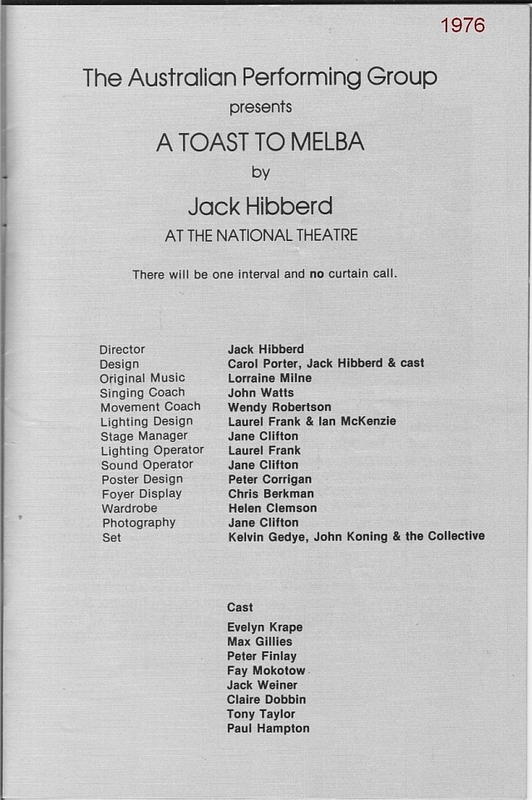 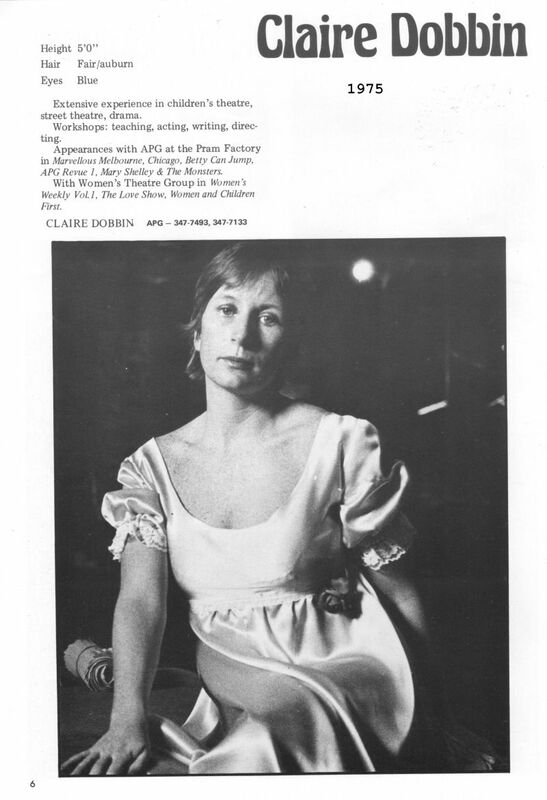 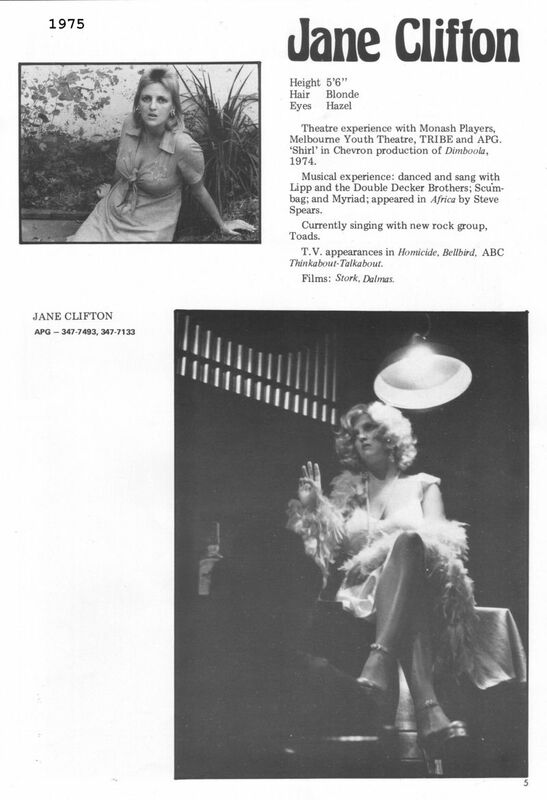 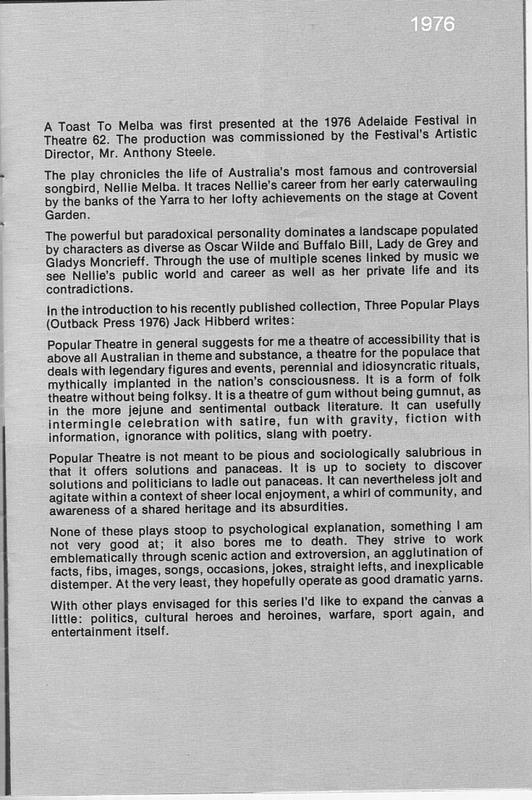 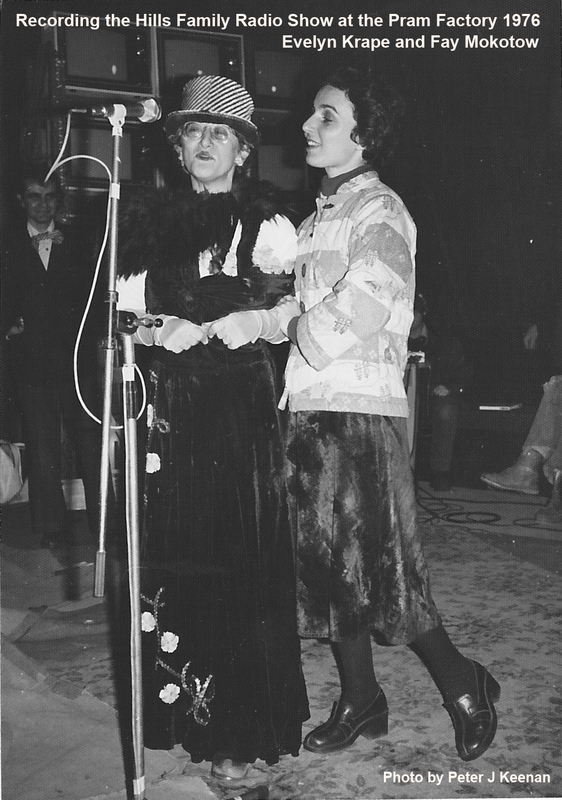 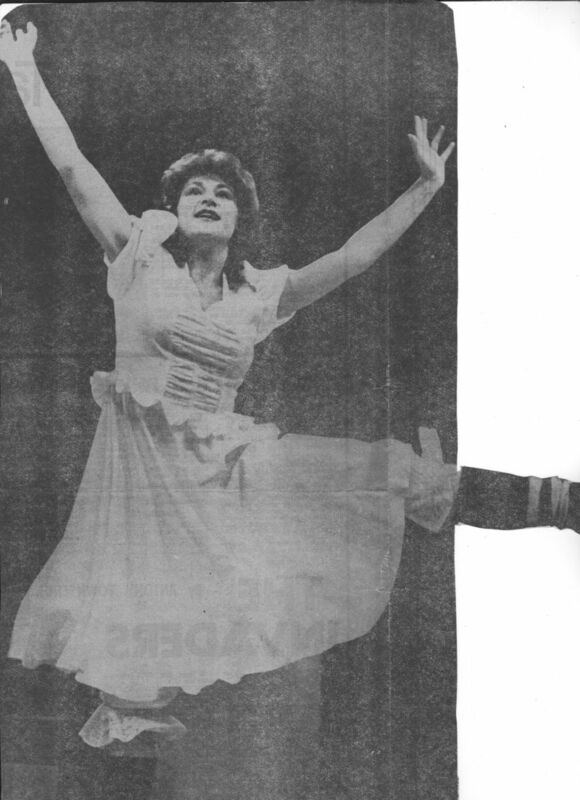 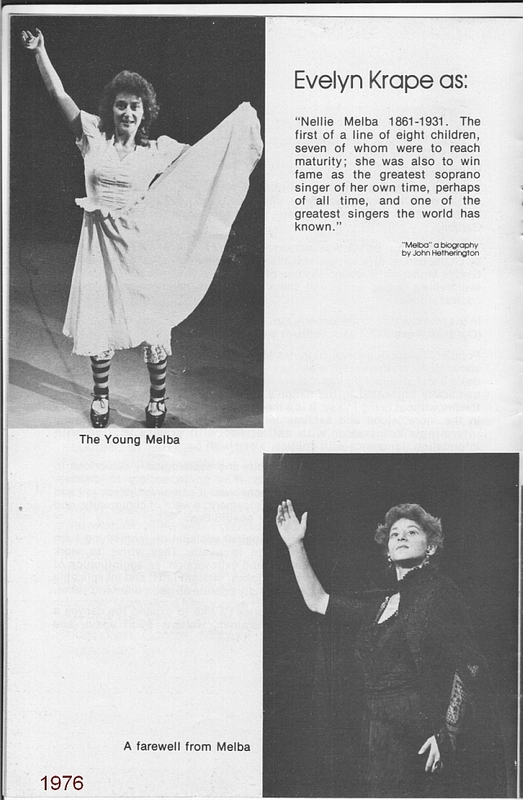 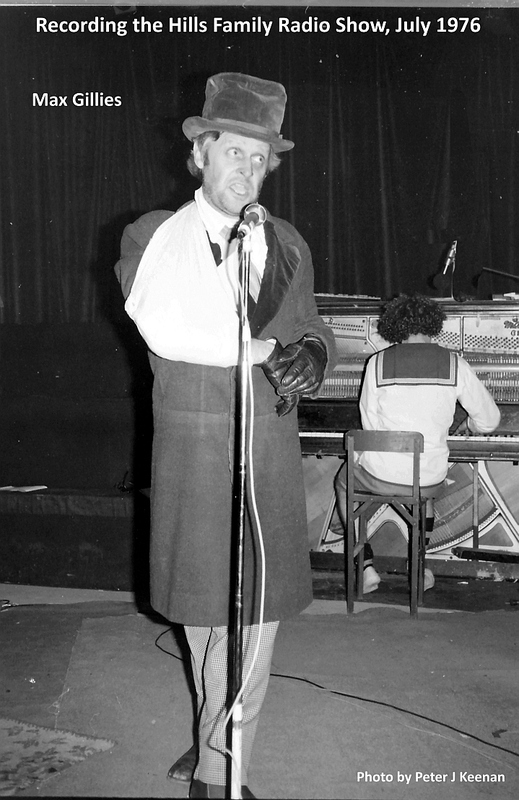 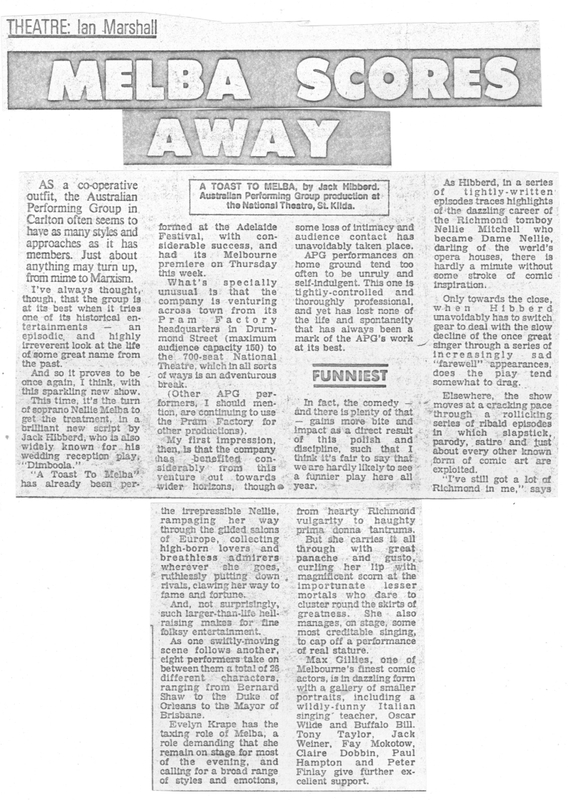 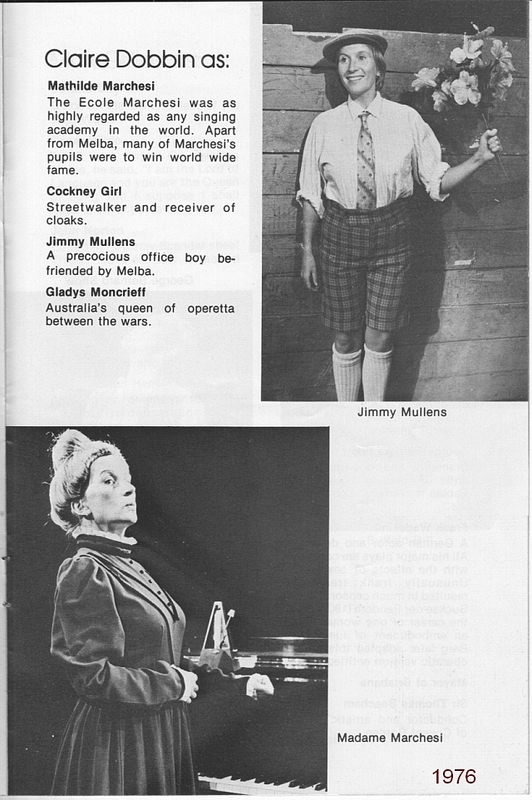 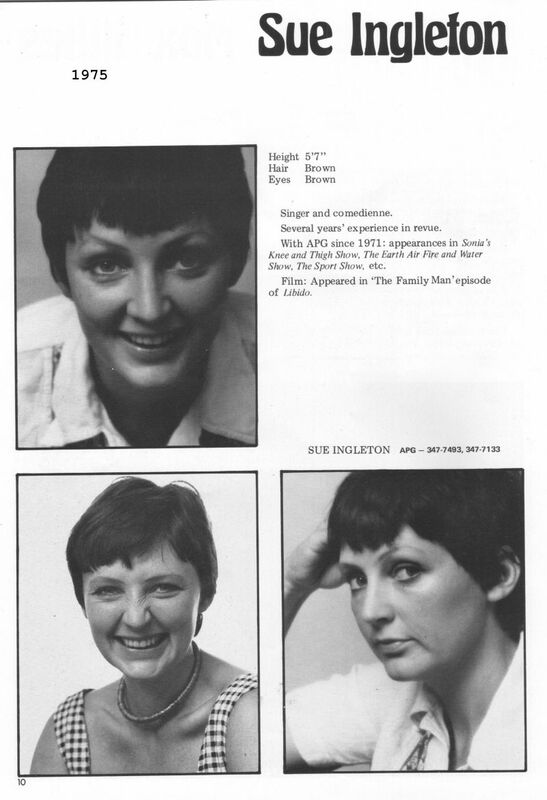 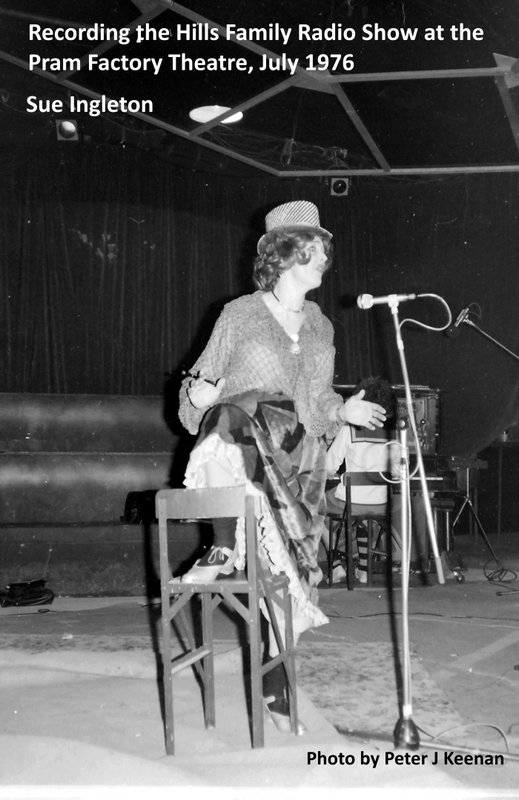 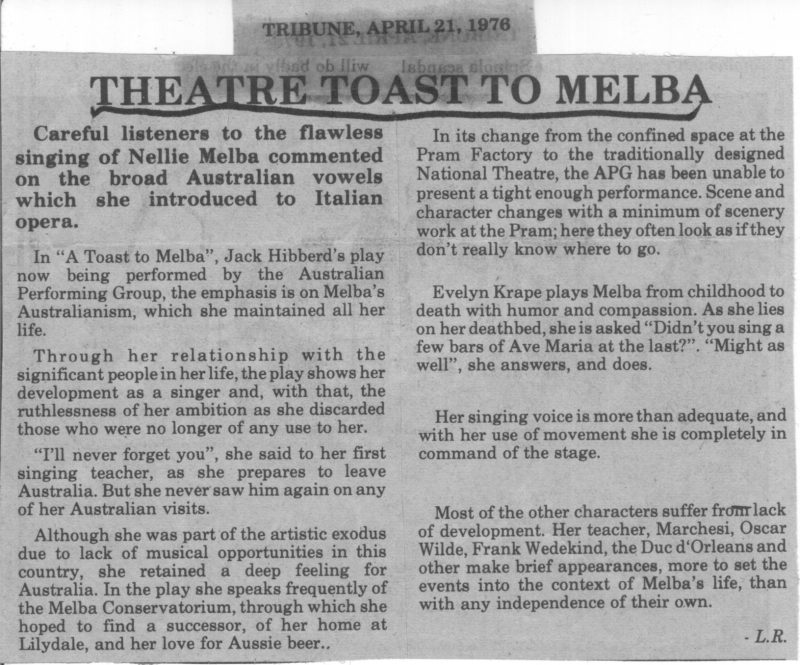 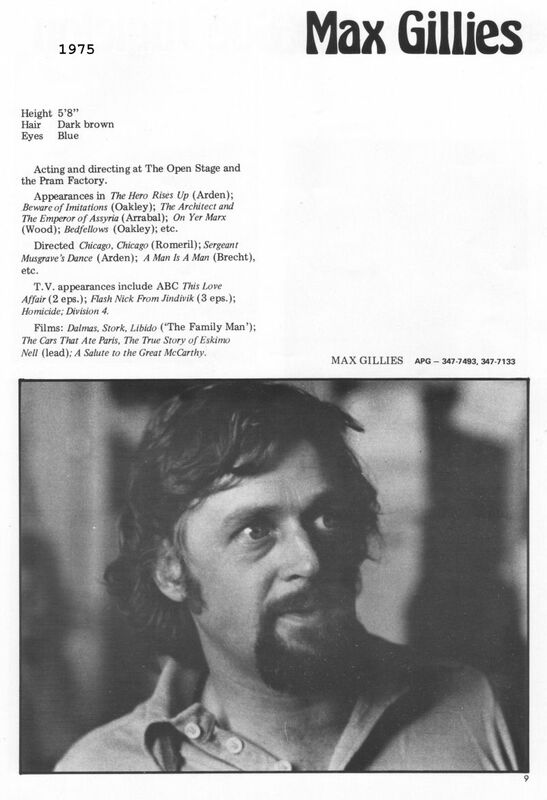 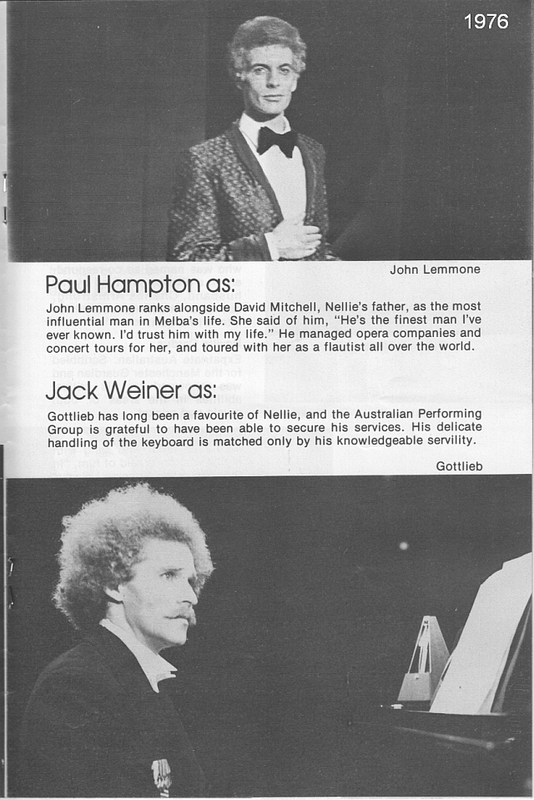 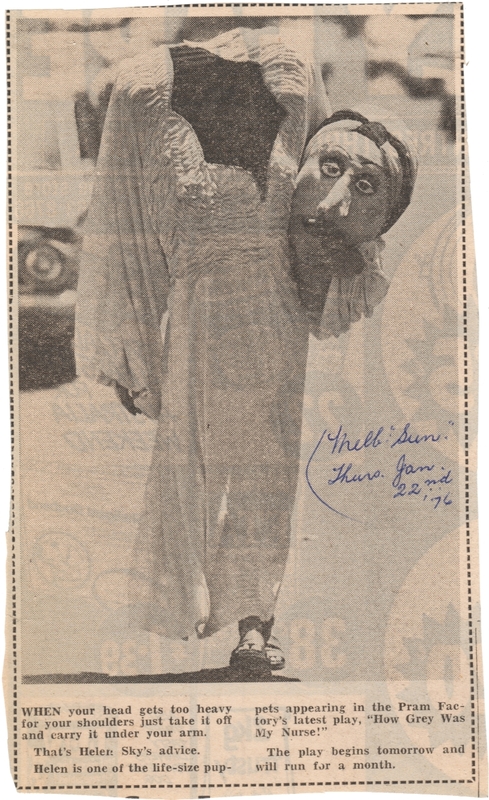 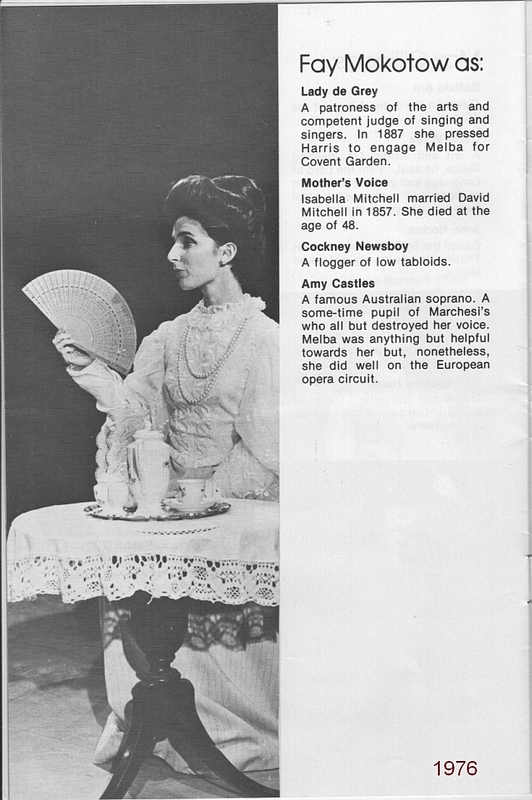 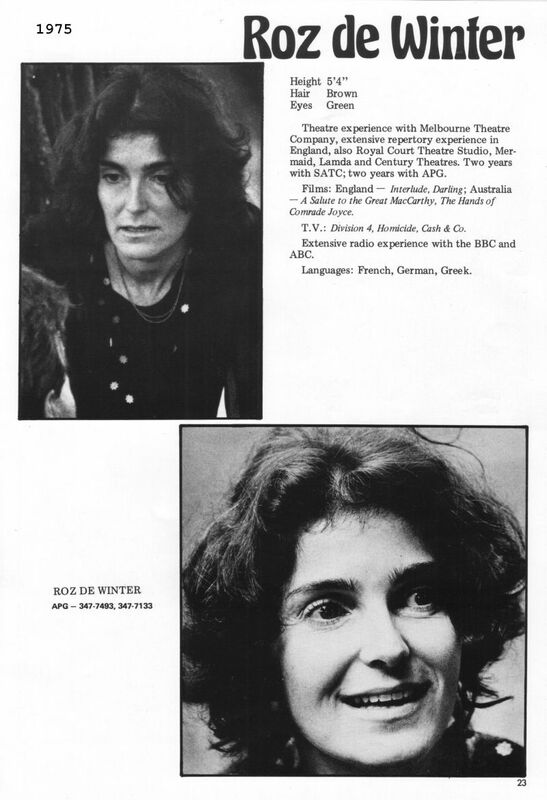 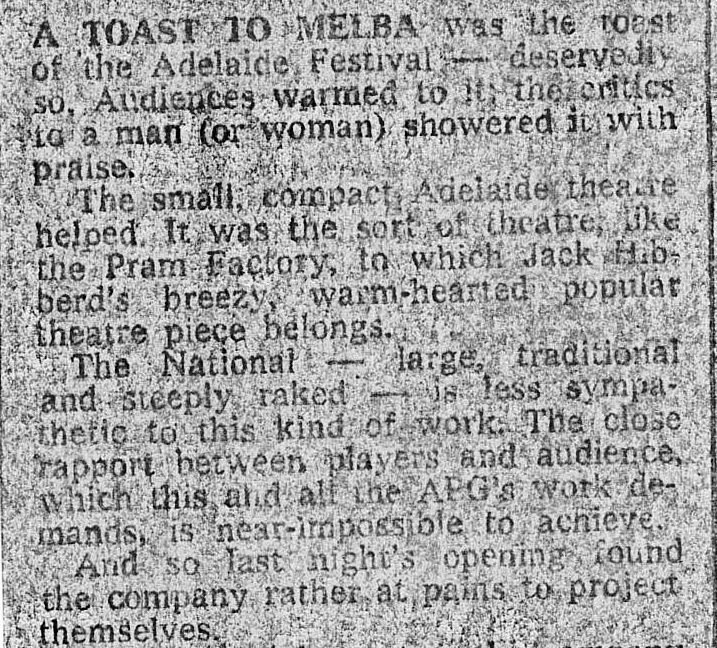 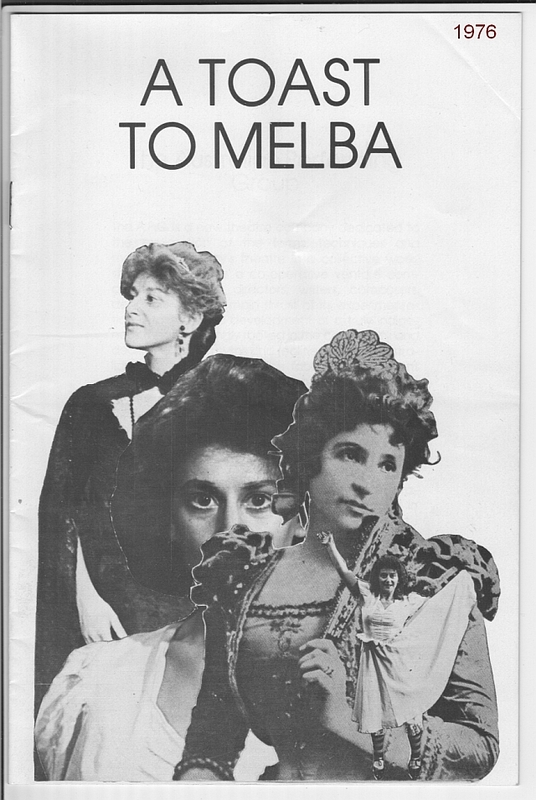 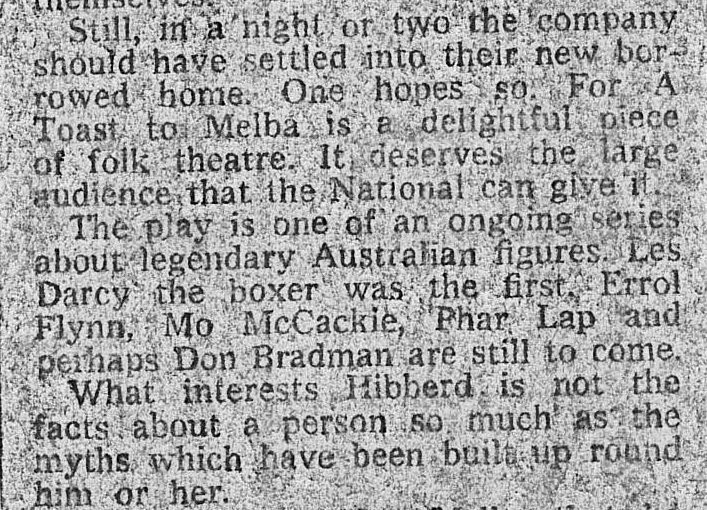 After the Australian Performing Group performed “A Toast to Melba” in Adelaide to critical and popular acclaim, it moved the production to the much larger National Theatre in St Kilda, opening on 1 April 1976. 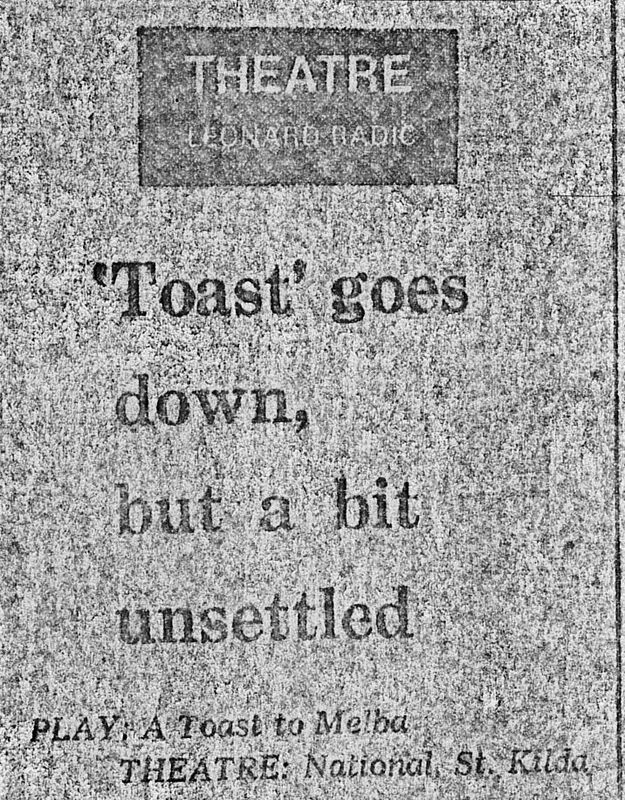 Not everyone was as impressed. 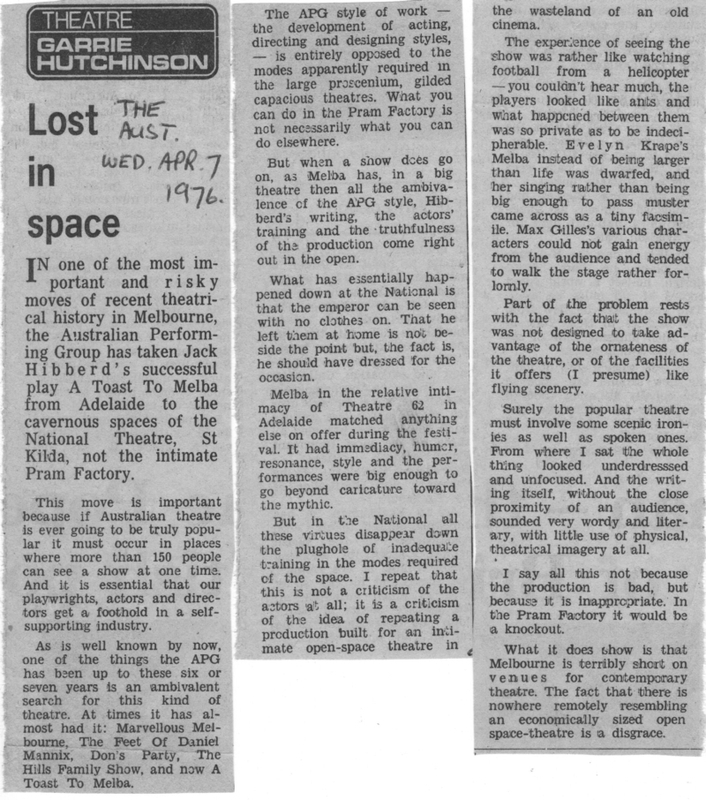 Here are reviews by Keith Dunstan (The Sun), Kit Neilson, Garrie Hutchinson (The Australian), L.R. 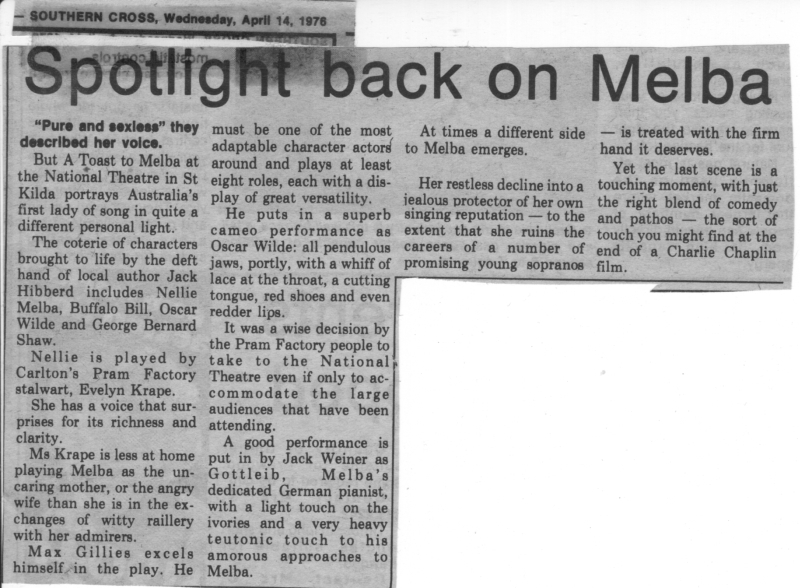 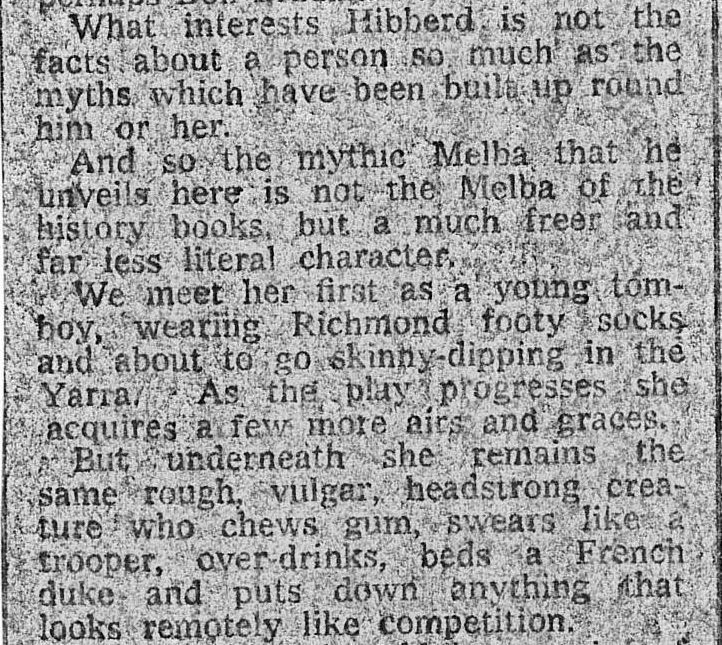 (The Tribune), Colin Talbot (Nation Review), Ian Marshall, Leonard Radic (The Age), and The Southern Cross, together with some publicity pieces from the Melbourne Sun. 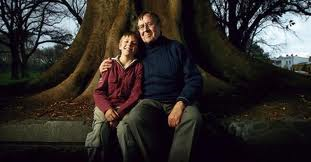 John Timlin, pictured with son, Michael, in September 2007. 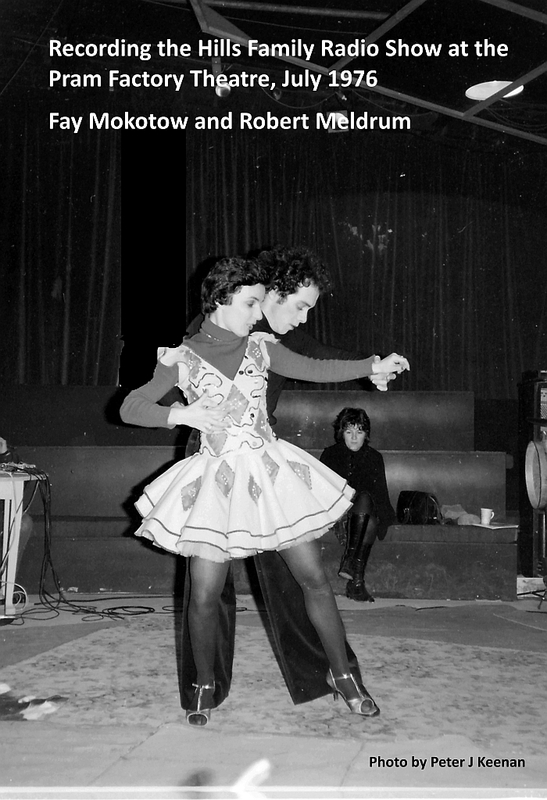 Photo by Craig Sillitoe. 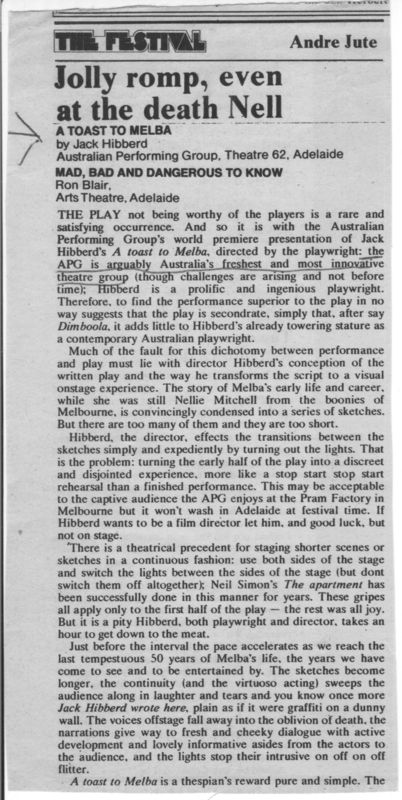 The Age, 2/9/2007. 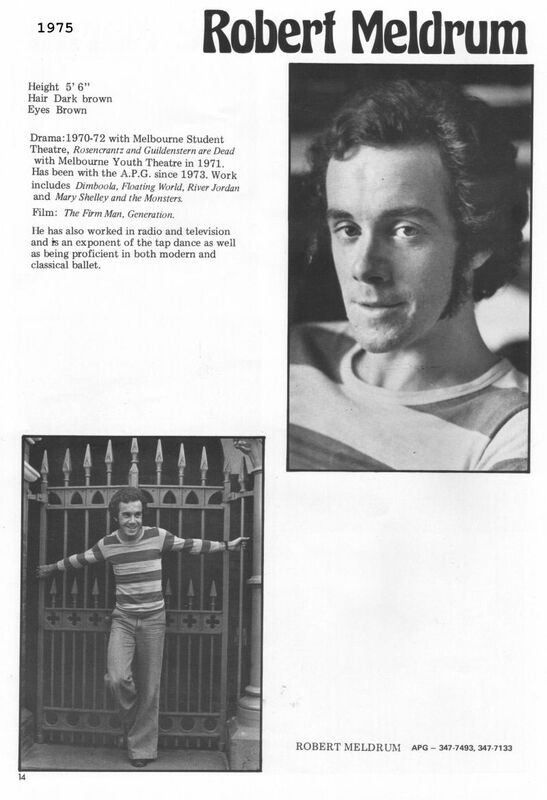 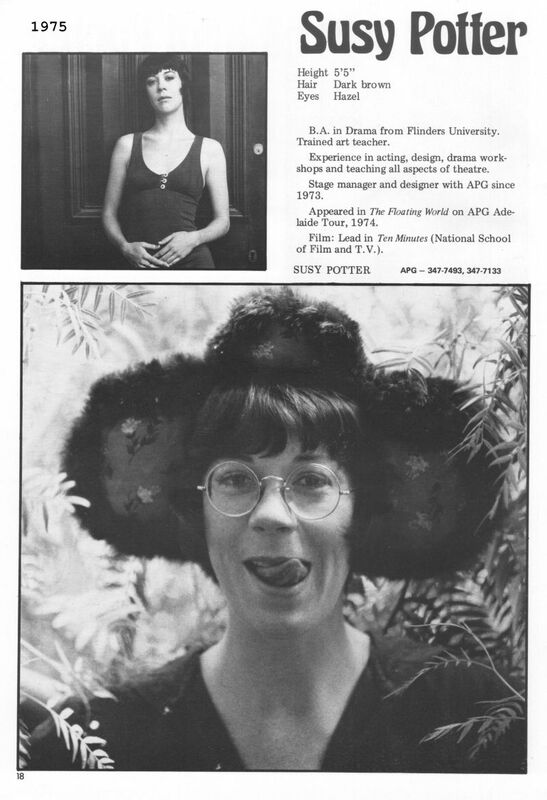 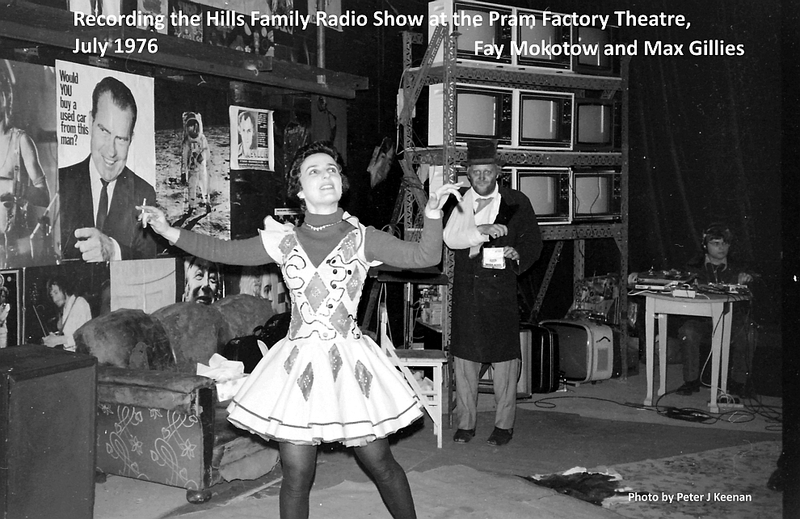 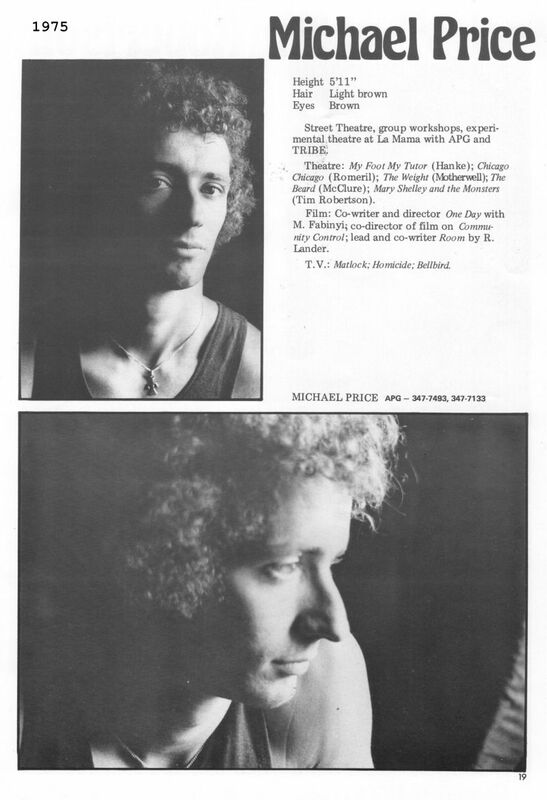 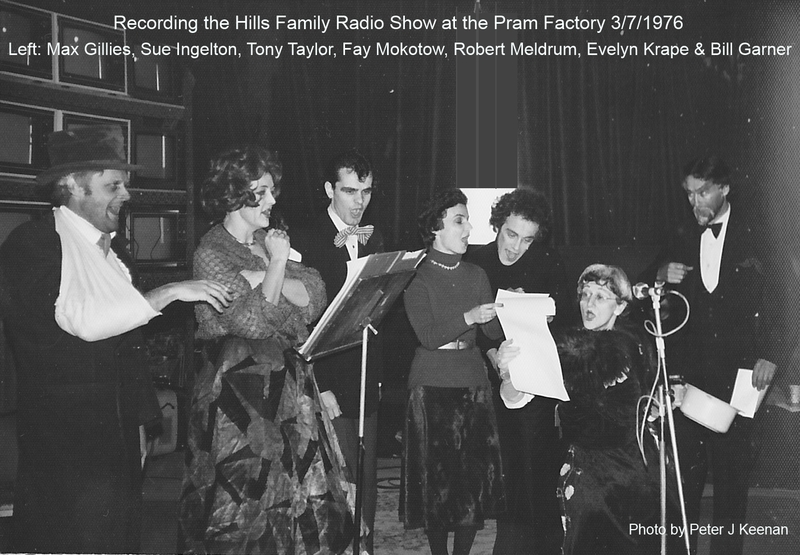 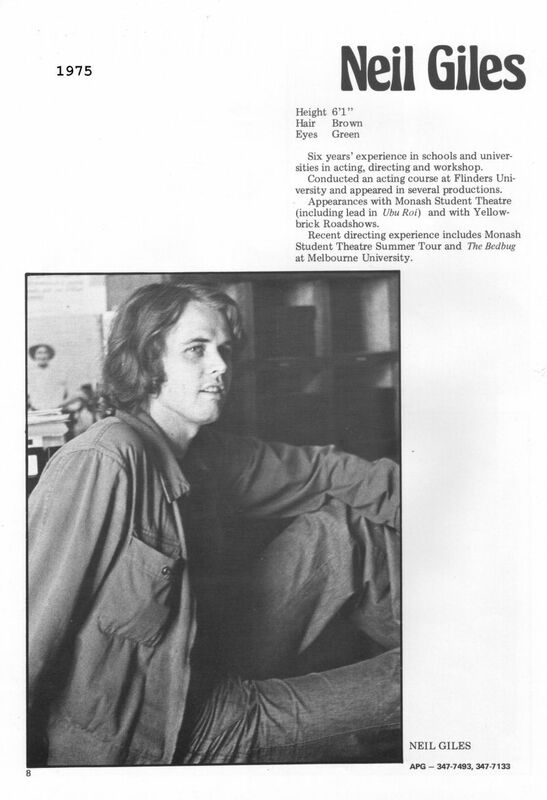 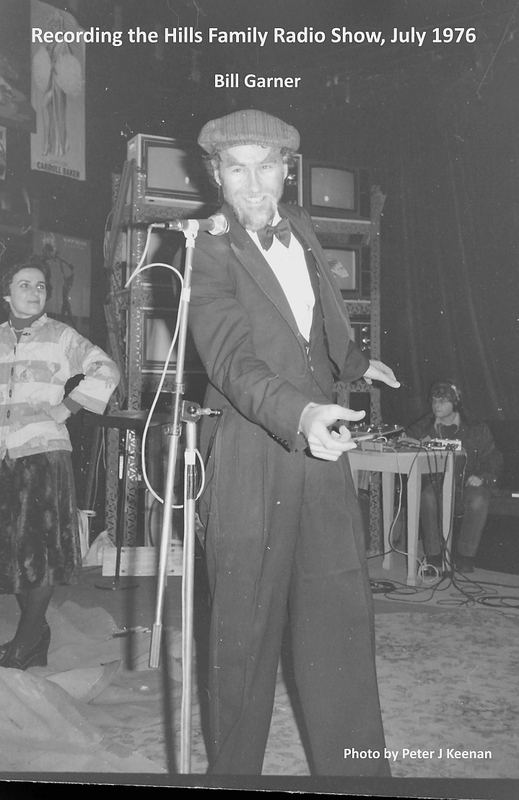 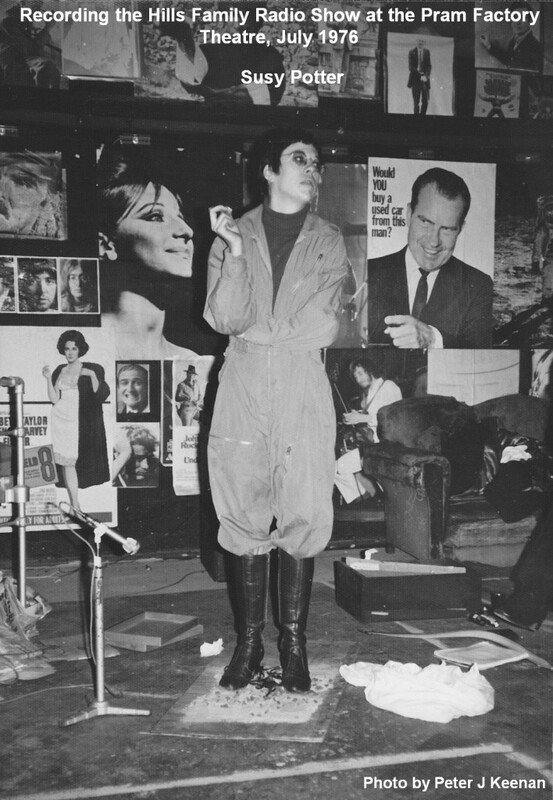 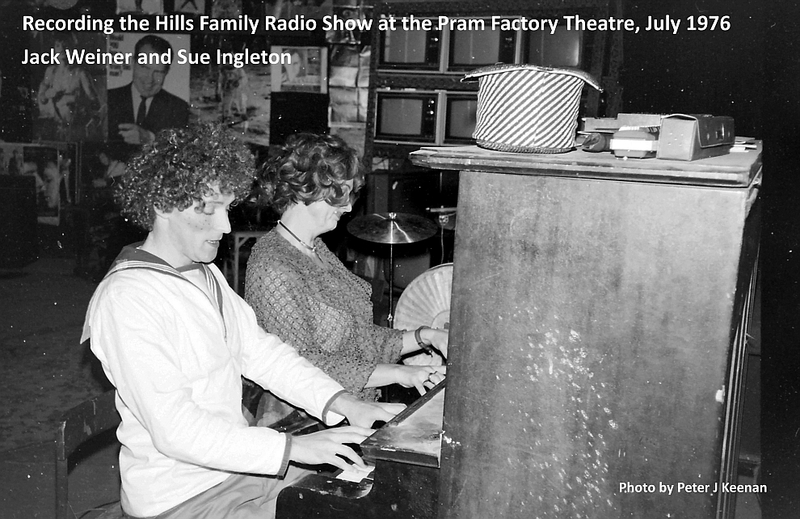 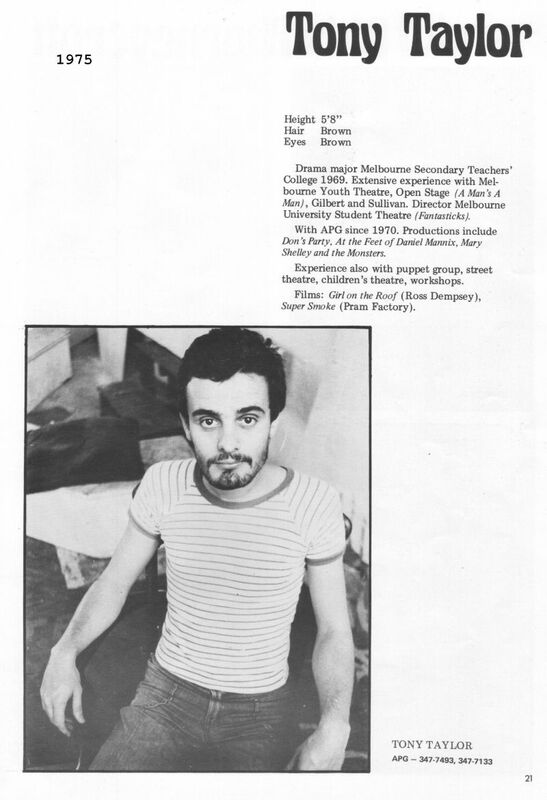 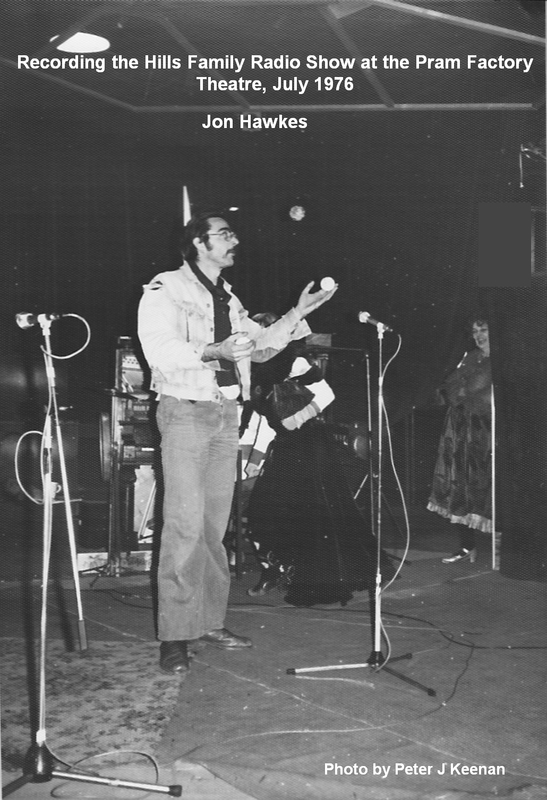 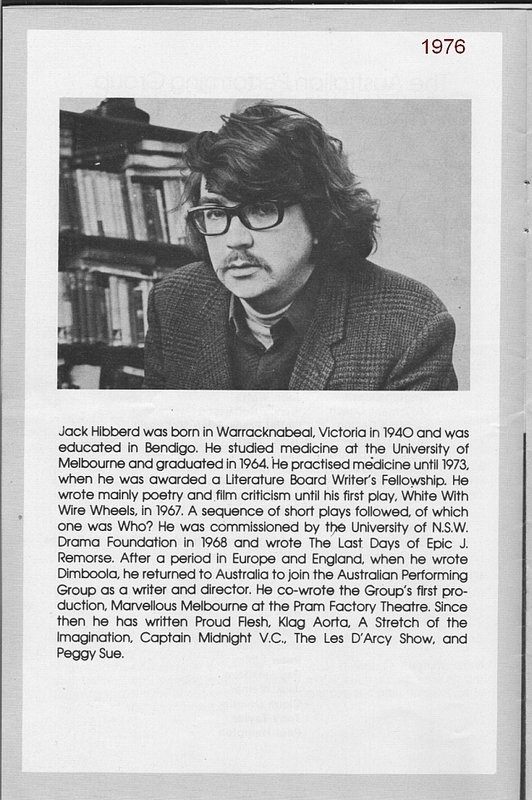 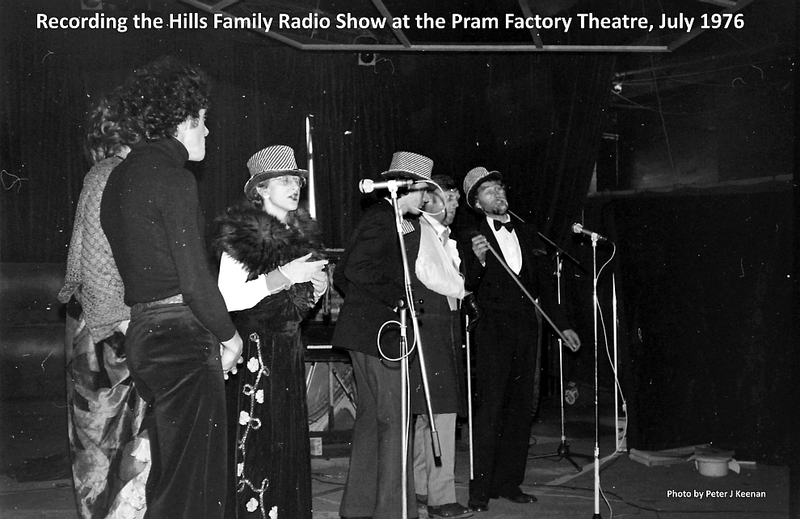 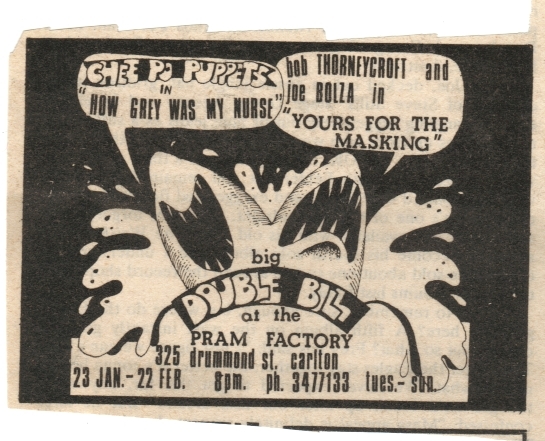 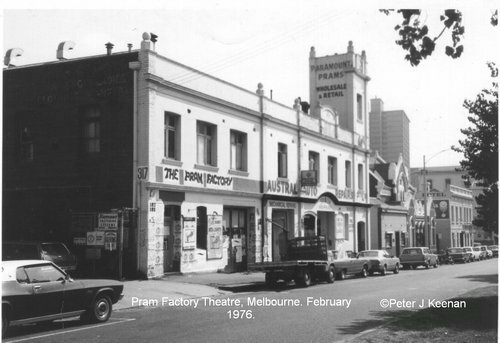 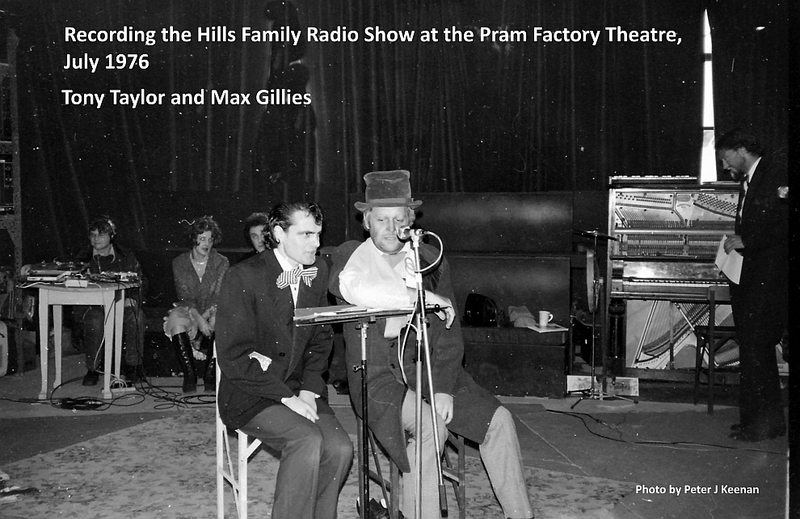 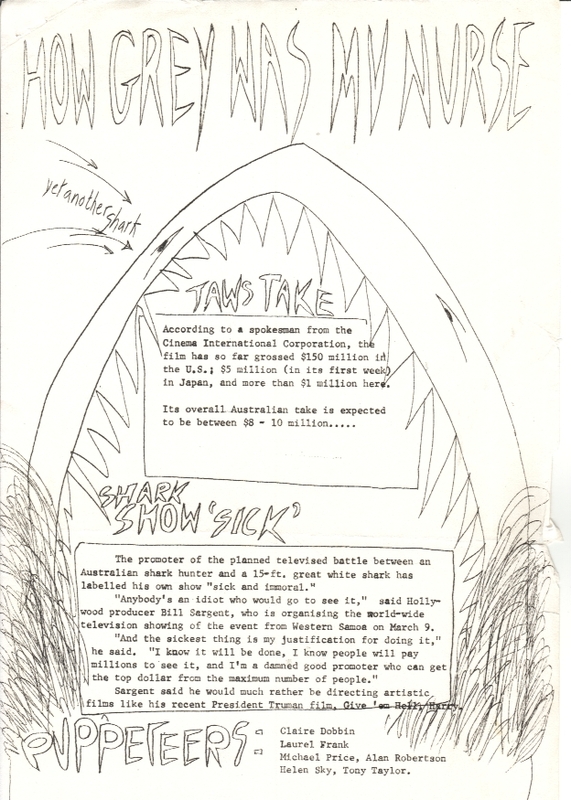 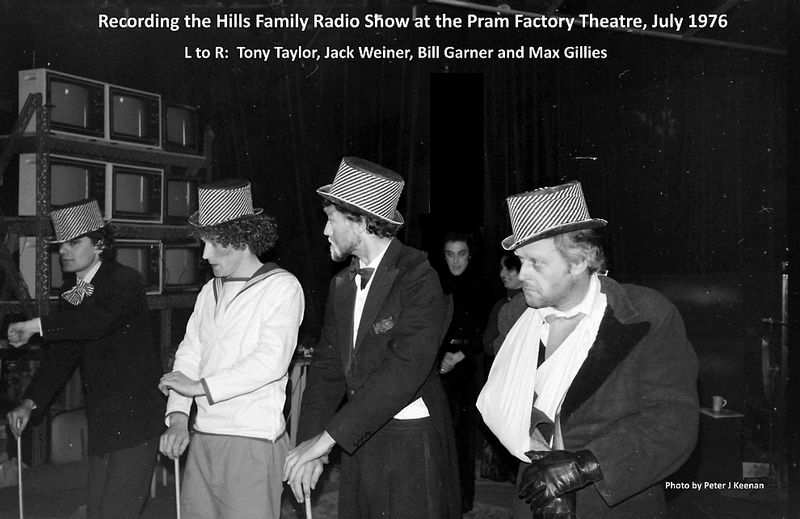 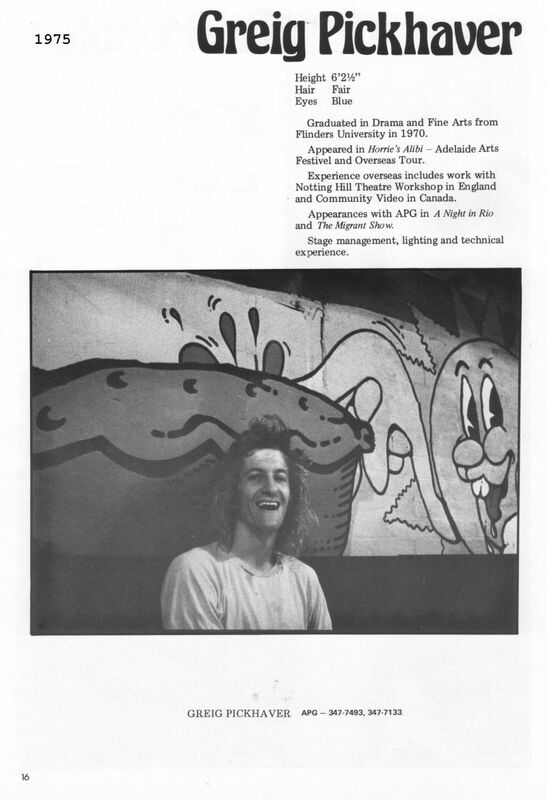 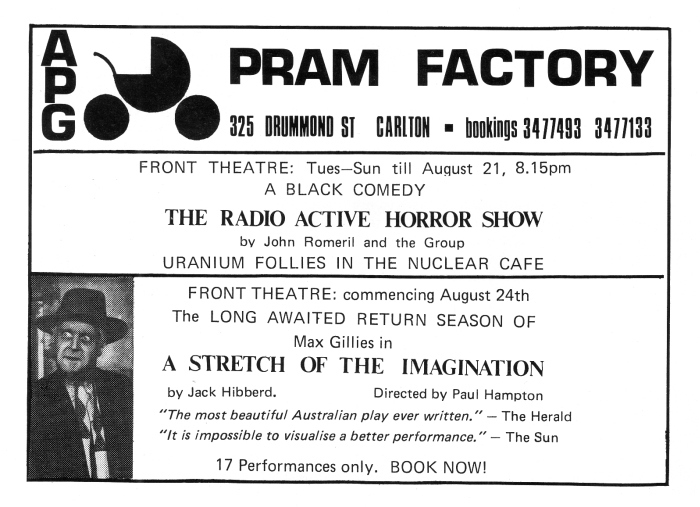 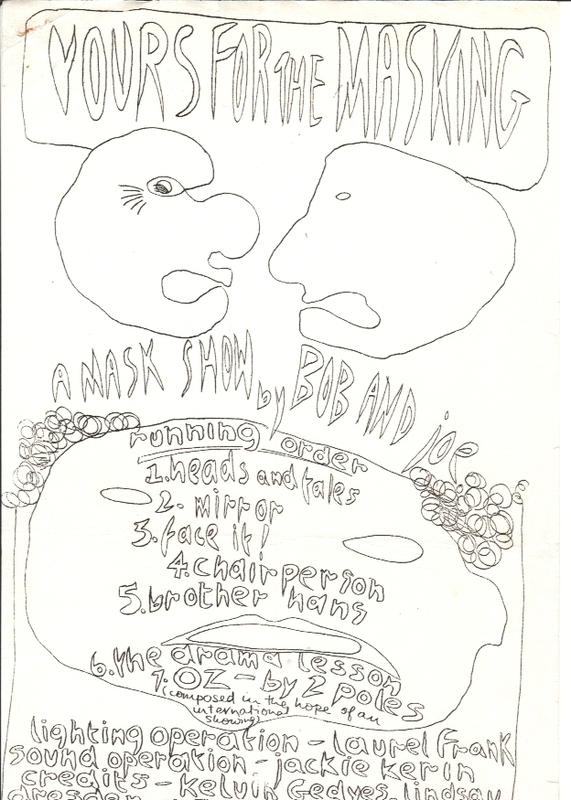 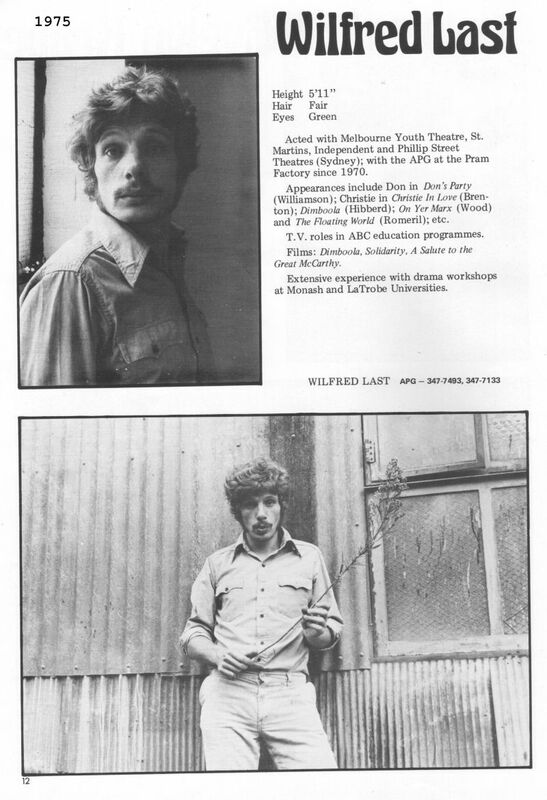 Written by John Timlin, “Pramocracy – The Alternative Theatre in Carlton”, has long been an important source for researchers and writers looking at the history of the Pram Factory Theatre and the Australian Performing Group. 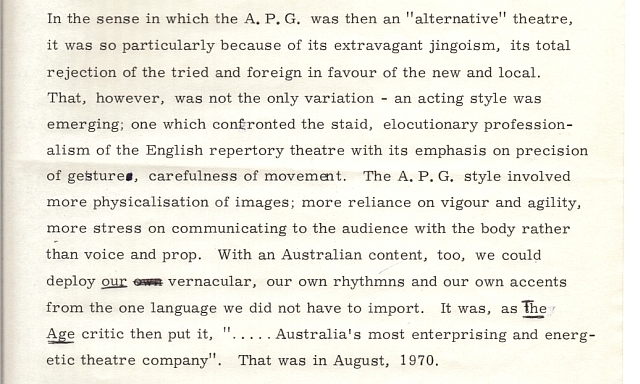 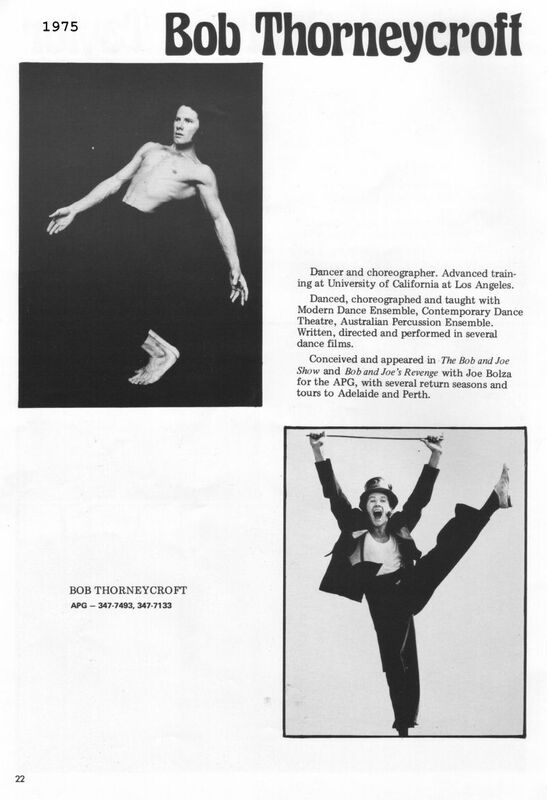 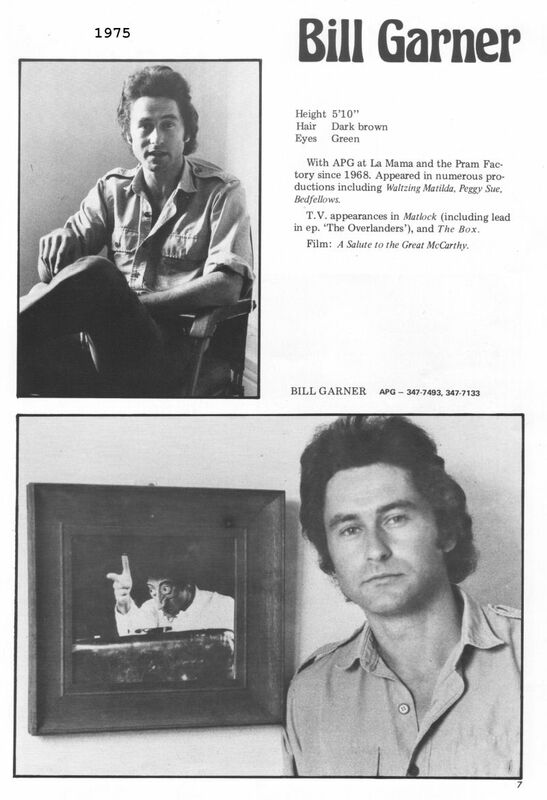 For most of the 1970s, John Timlin was the APG’s publicist and quasi administrator. 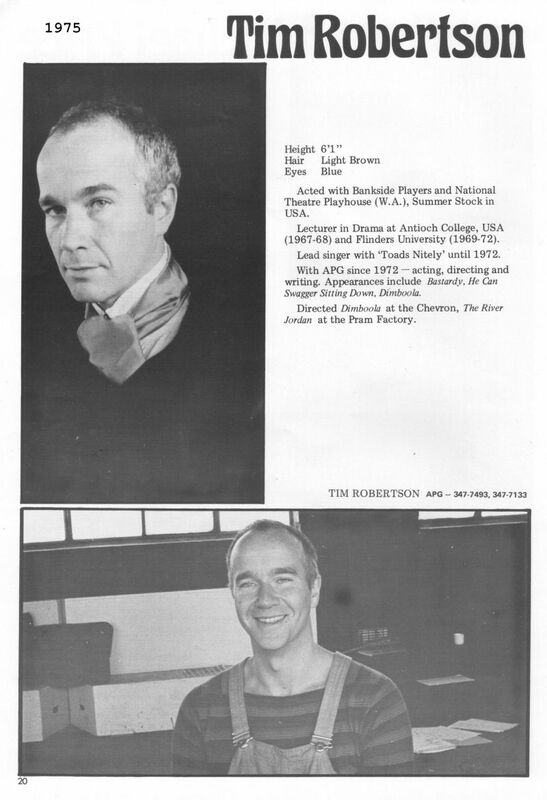 He also acted as agent for several writers, including Jack Hibberd and John Romeril. 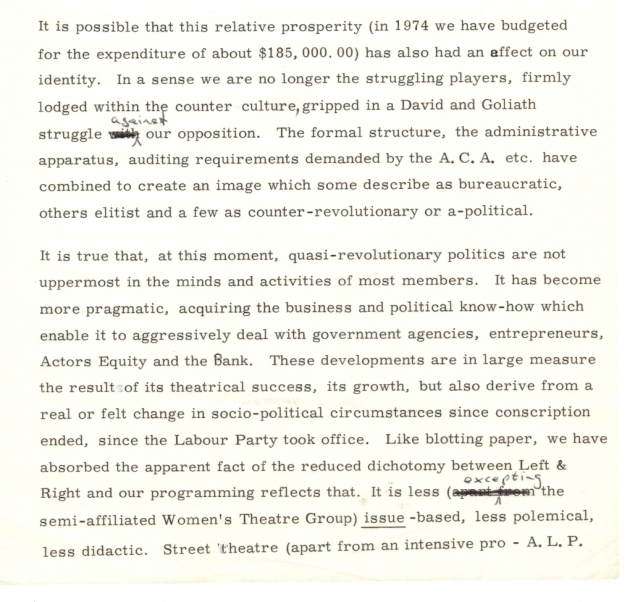 “Pramocracy” (as it has become known) appears to have been written a few months after the Federal Election held in May 1974, for Timlin refers to that election as if it had occurred fairly recently. 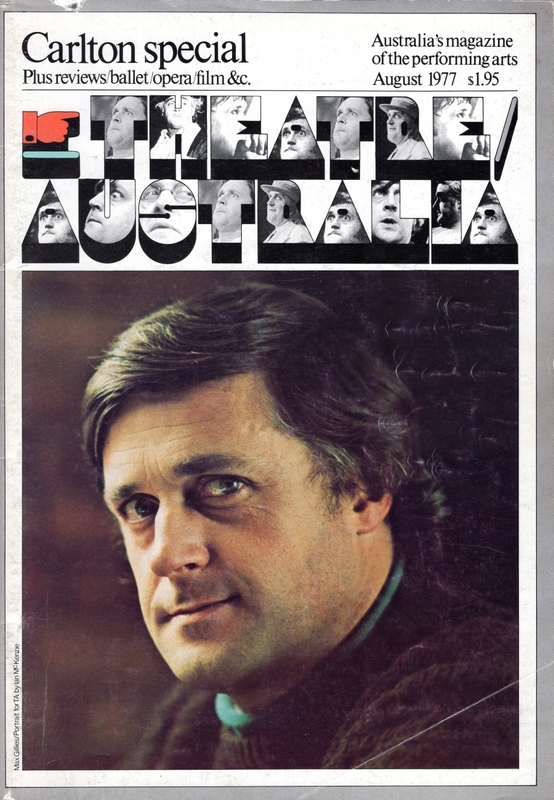 (At that election Gough Whitlam’s Labor Party was returned to Government following a double dissolution.) 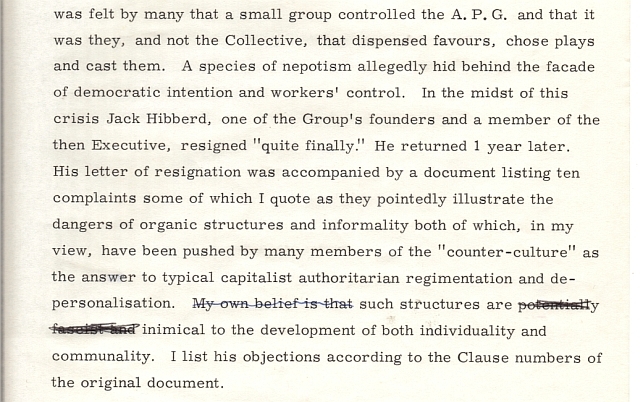 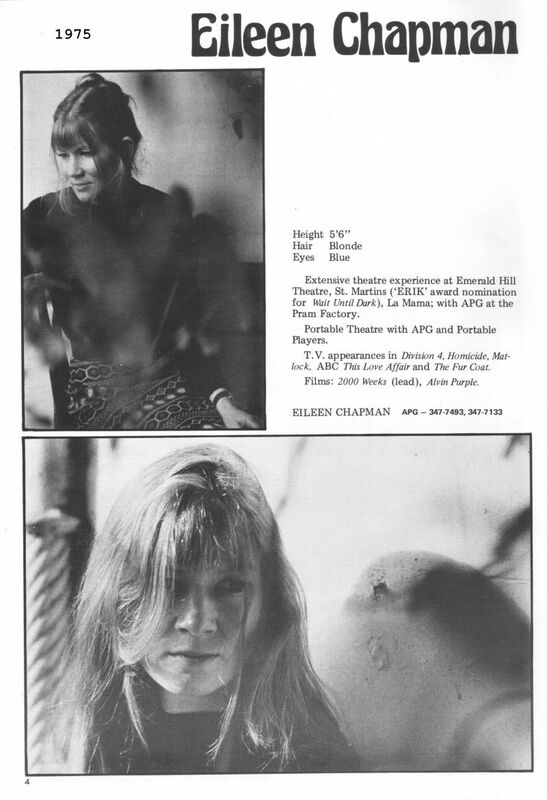 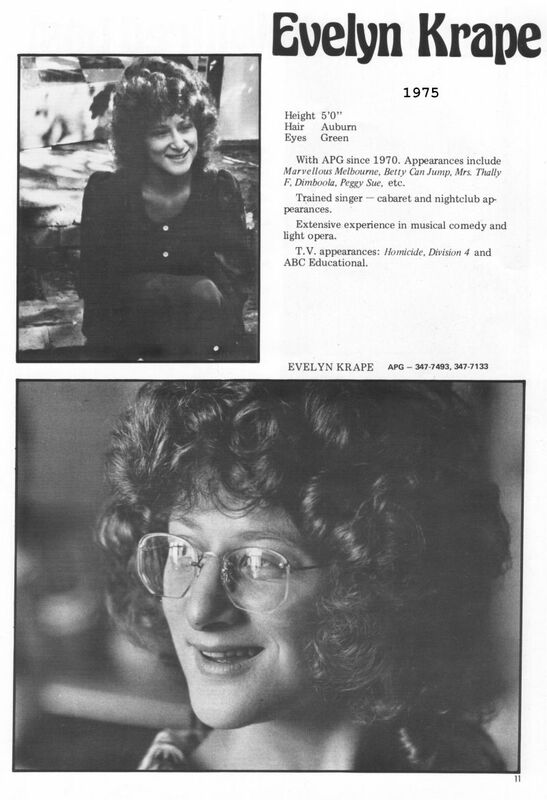 At the time the APG was, according to Timlin, suffering an “identity crisis”. 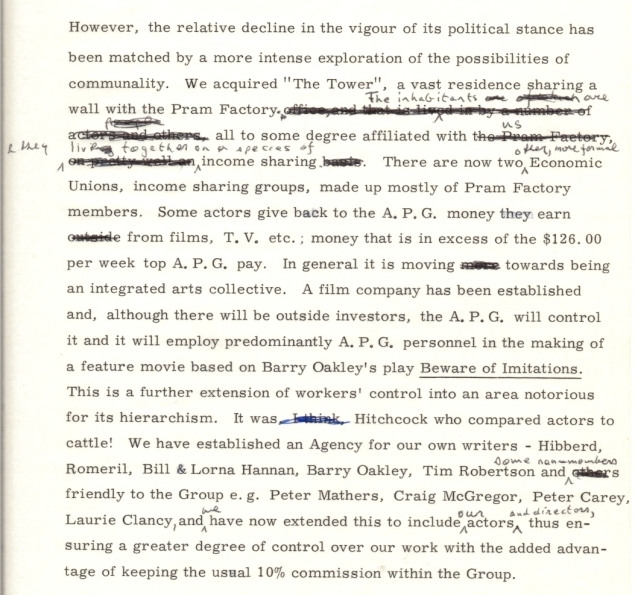 The document published below in its entirety is a dog-eared draft of “Pramocracy” with John’s handwritten heading and alterations on it. 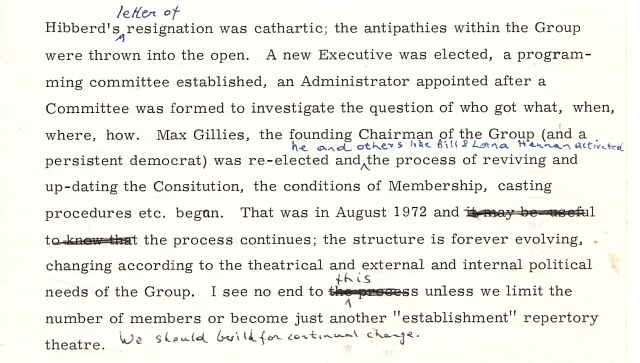 “This seeming masochism is, however, germane to democratic participation; workers’ control of the theatre. 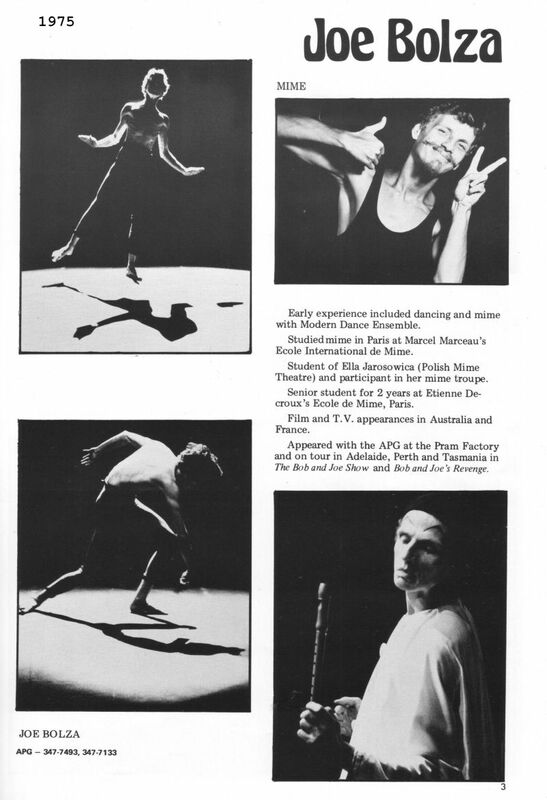 The fact of stardom, fame etc. 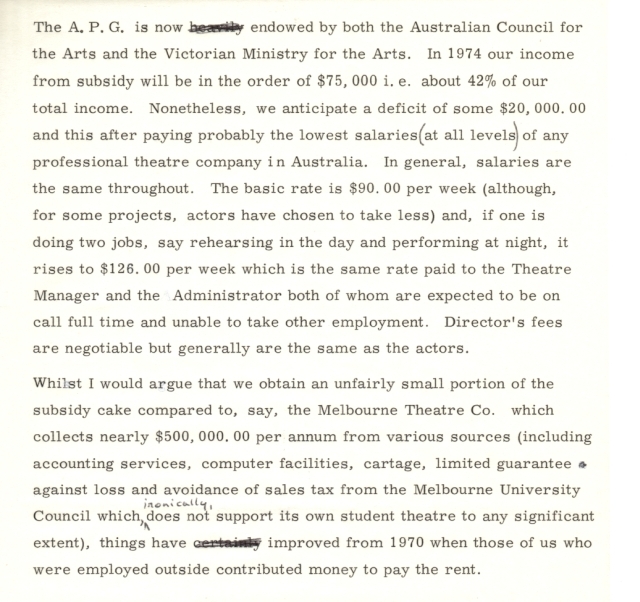 cannot entitle one person to have a vote affecting the lives of others whilst they are, possibly, so distant from the theatre as to be ignorant of the issues, arguments and personalities. 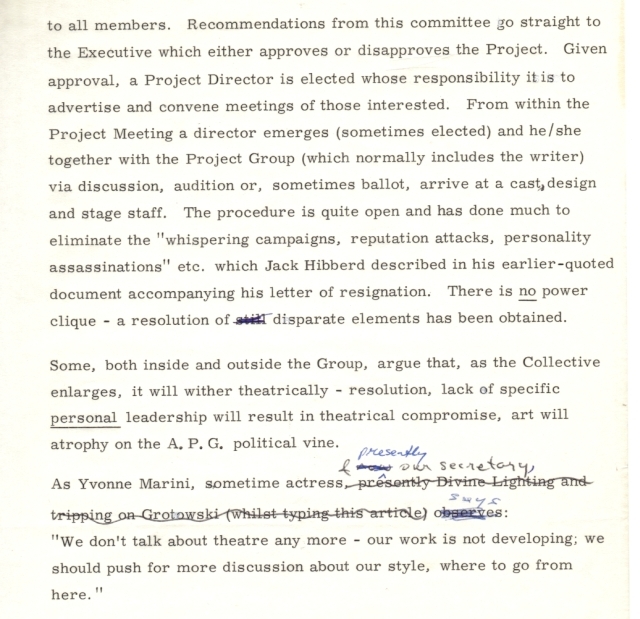 The Collective has, in this respect, tightened somewhat – if a member is absent from four consecutive monthly Collective meetings, membership (subject to appeal) lapses and the privilege of priority for employment disappears. 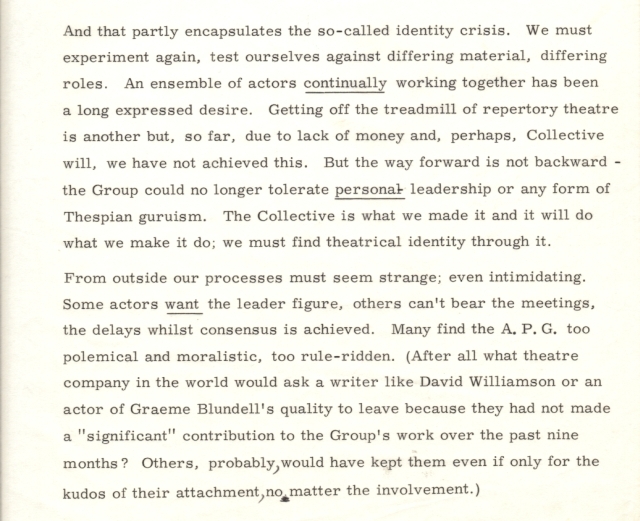 This, of course, allows us to change;; those who opt for the security and comparatively high pecuniary rewards of lengthy film, television or theatre contracts are exercising their choice and, by so doing, effectively resigning and creating space for others, thus injecting new blood and, potentially a new theatricality into the Group. 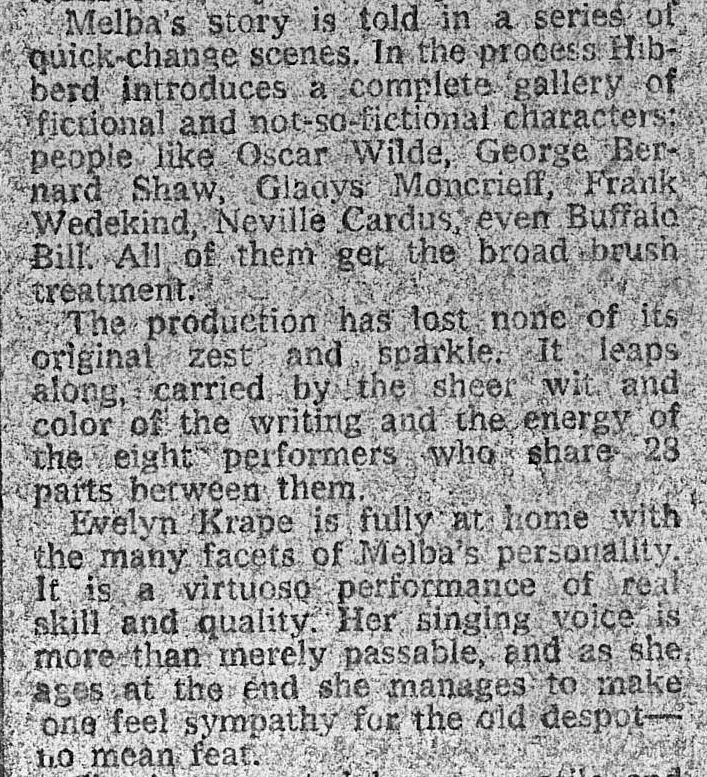 ‘… I think that what is in many ways the Group’s strongest quality is also its least endearing quality – at least to those outside it – namely, a kind of (dare I say it?) 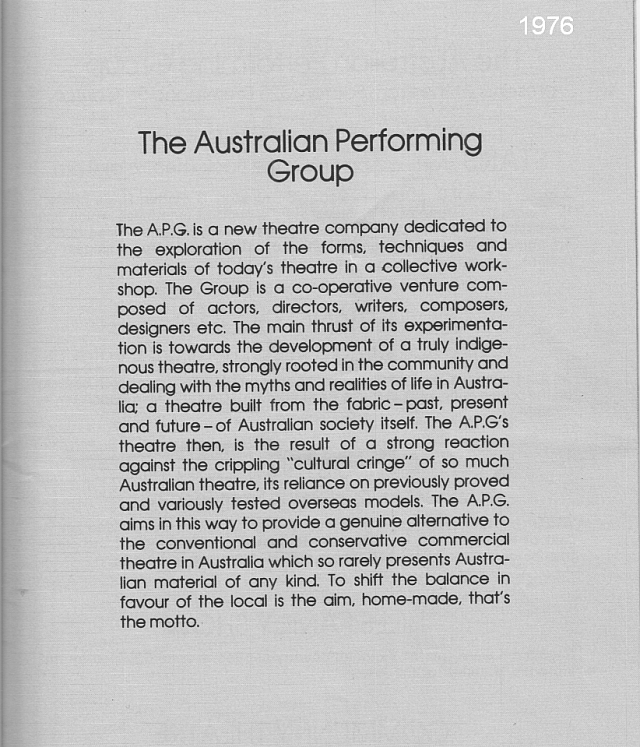 arrogance; a messianic certainty of its anointed role as custodian of the Australian drama … I think that quality is an asset, and it may well be that that is the magic talisman which will keep the APG alive and kicking where so many other groups, equally committed, have failed …’. 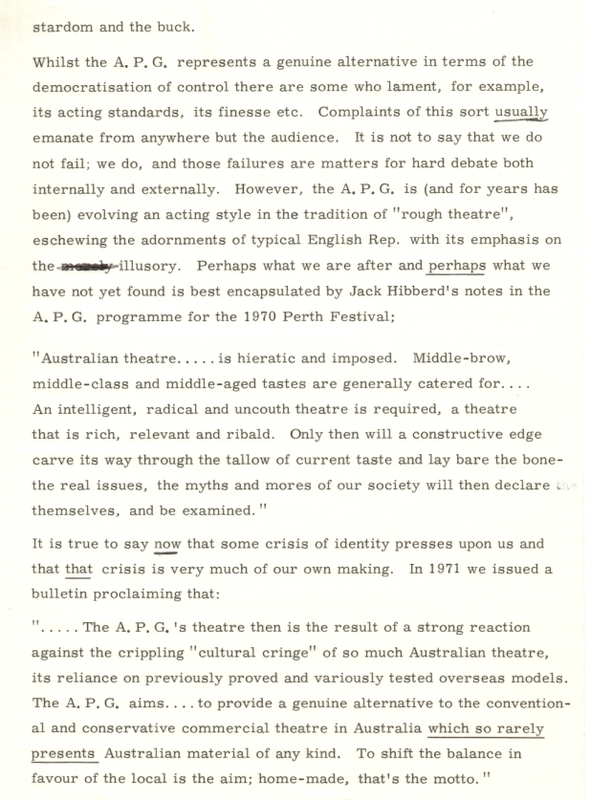 The dialogue between The Prosecutor and Actor: see sections 5 and 6. 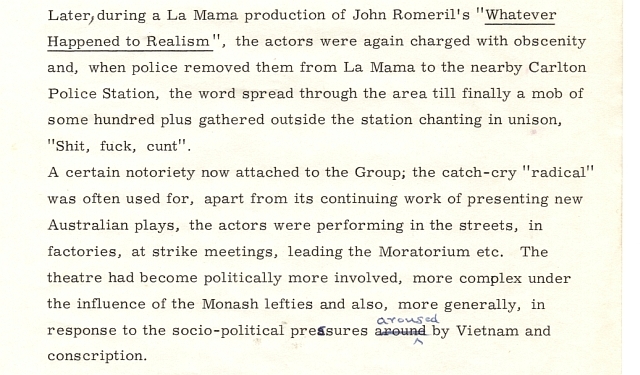 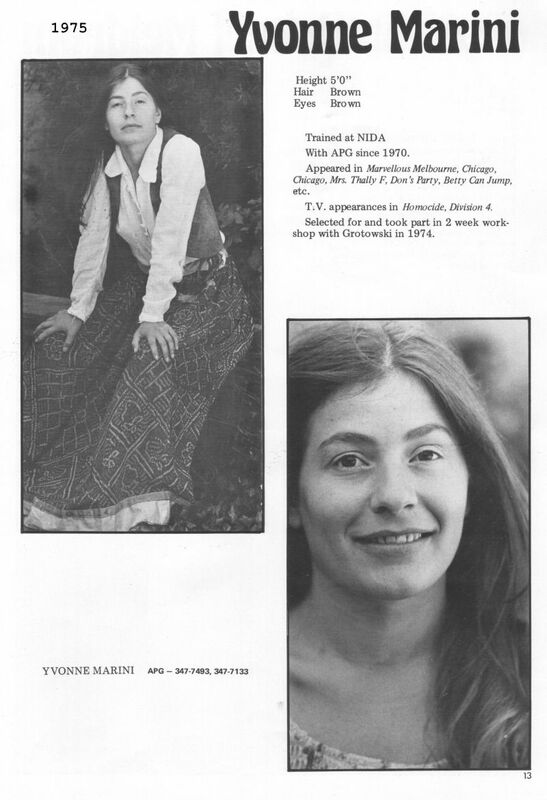 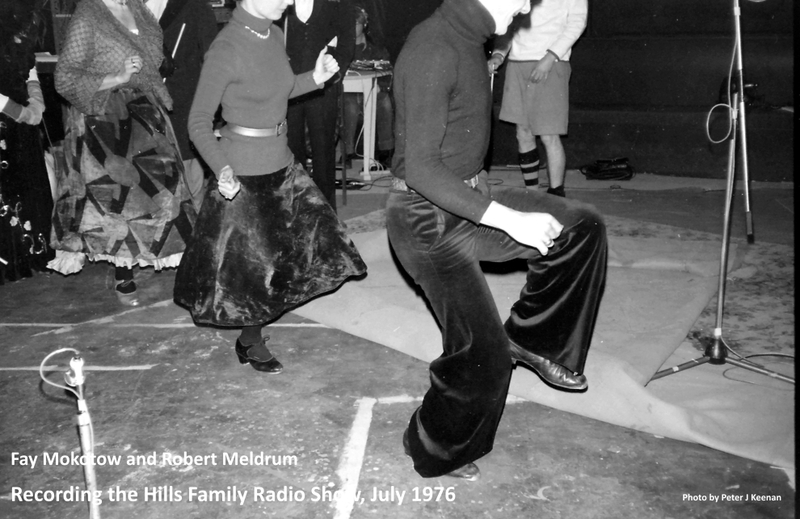 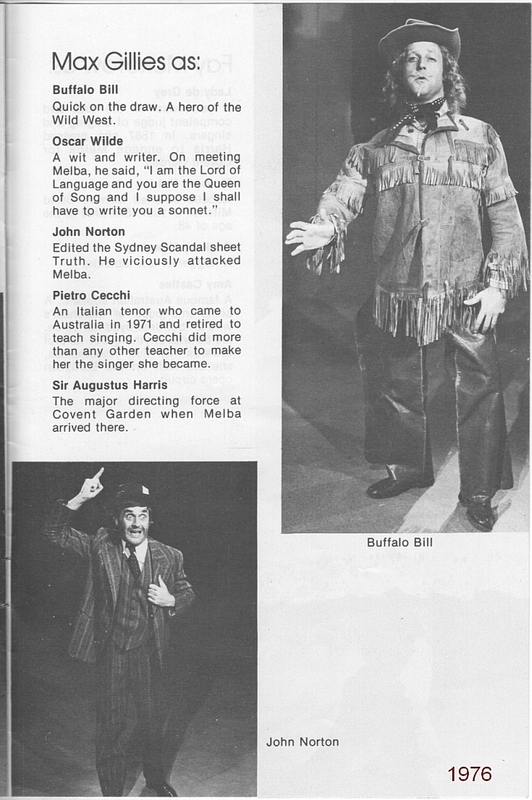 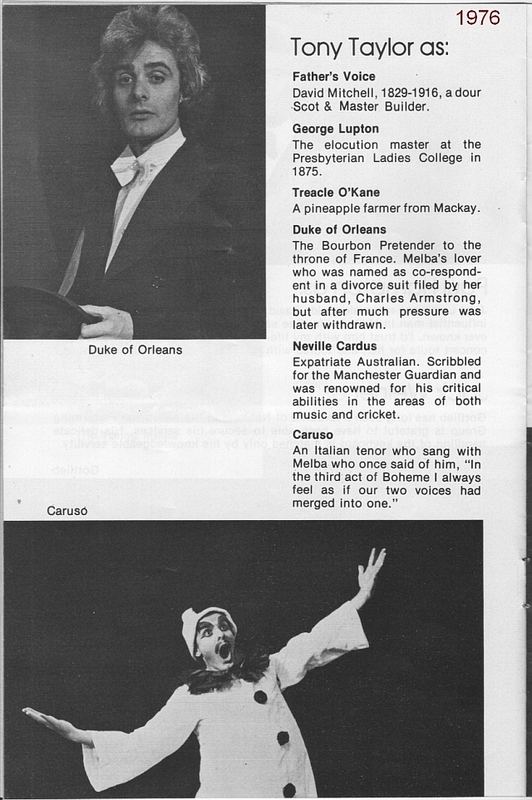 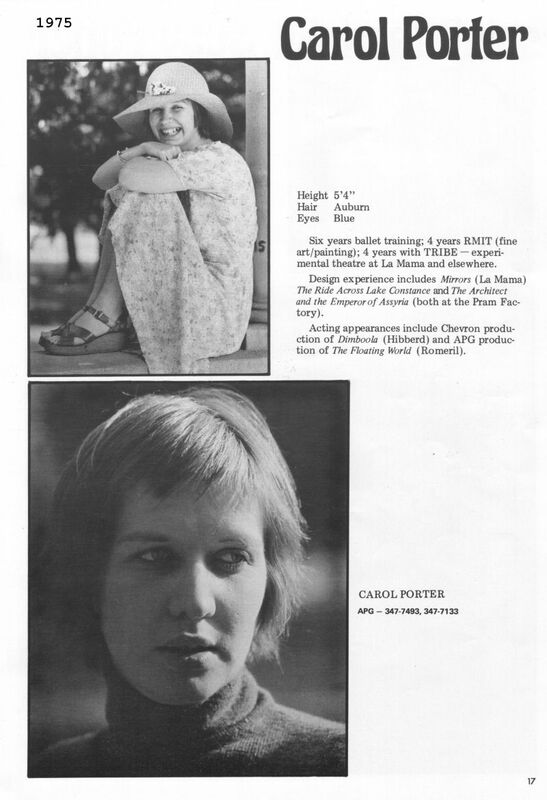 All the writing contained in the scanned document between the words “… stardom and the buck” and “It is true that …”. 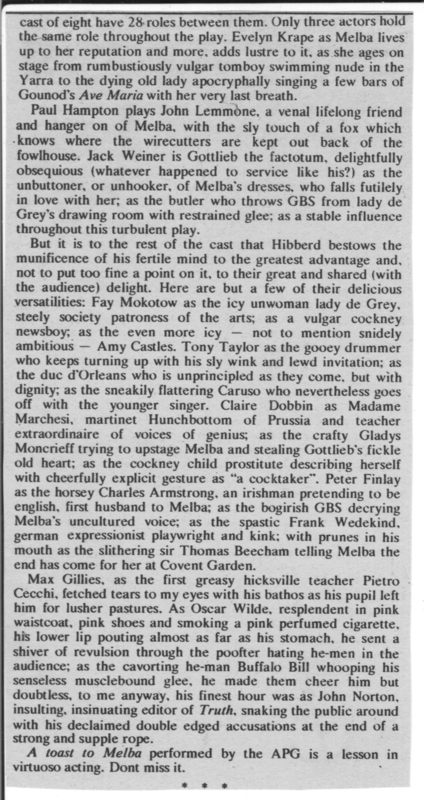 This is 6 paragraphs with a total of approximately 670 words.